Mercury Sable was the sister vehicle to the Ford Taurus. The Sable had the same engine and the same body type. The Sable was considered the luxury mark of this variant of the Taurus. Ford put time and development dollars into making the Mercury brand a worldwide competitor. It was 1992 to 2005 when the Sable used the 3.0L V6 engine. This is the type you can find for sale here at unbelievably low prices. These Mercury Sable 3.0L engines fit perfectly and are shipped often times free of charge. 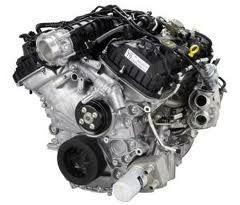 Get the engine you need from this website today. There are two versions of the 3.0L engine that Ford used in its Mercury brand. The Duratec was the newer version. This is what replaced the long lived Vulcan 3.0L V6. Each of these engines has been used previously in other vehicles. Both Ford and Mercury vehicles have benefited from the V6 engine size upgrade. The Sable was one of the successful cars that were produced outside of the Ford nameplate. The horsepower boost that the Duratec and Vulcan engines brought was well received by vehicle owners. You can find these engines type always on sale here. The good part about our business is that we’re only selling motors that are used. What this means for you is that it cuts out any of the building that takes place for rebuilt engines. We’re able to purchase Sable engines faster and then evaluate them before sale. This method helps us to turn around our inventory faster and easier. The Mercury Sable buyers that we use know where to find the motors that have the least amount of mileage. This helps extend the lifespan and the overall durability of the engines. Getting a Duratec or Vulcan V6 that is in good shape is because of our quality commitment to you. We still support the Mercury brand. We do it because there are millions of vehicles that are still in use around the world. Ford might have retired this brand, but the engines that are among those sitting in our warehouse can still be found. We’re probably one of the few used engine sellers on the Internet to offer a motor with a warranty. The Ford and Mercury motors that are released through our company come with this value added protection. Installing engines from our company is a good thing. This offers you the protection you demand during the time frame of our warranty period. It does not matter if you own the vehicle or buy through a company for replacement. You get the same quality standards here. Our way of quoting prices will be easy for you to understand. Call into our company by using the toll free phone number located on this site. This is our only number and you get to talk with our engine experts. They’ll match your VIN number and help you through the quote procedures. The quote system through this website can be used too. It gives you the same engine information. Contact us today.